There’s been a notable absence of Suicide Squad reviews on Gotham Archives since Kicked in the Teeth only received a 2/5 and we weren’t impressed. However, enough time had passed and we decided to pick it up just to see if it does get any better and to be honest, yes it does a little bit but still has a way to go yet. 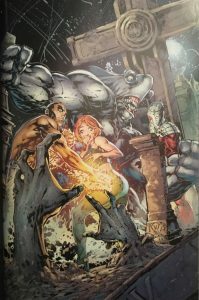 Basilisk Rising collects issues #8-13, #0 of New 52 Suicide Squad, and issue #9 of Resurrection Man. 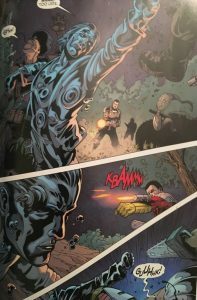 Basilisk Rising begins with a refresher of a few of the current members of the Suicide Squad – Deadshot (of course), Black Spider, King Shark (and Yo-Yo…in a way), El Diablo and Amanda Waller. Interestingly, the cover shows what appears to be a Talon (Night of the Owls) which do not feature in Basilisk Rising whatsoever, I am really not sure why Lashley and Reis drew this or why DC asked for it as it is a bit misleading and I was hoping to see exactly how that one played out. Of course, it didn’t in the end hence my disappointment. Kicked in the Teeth was perhaps all about action and although I praised it at the start I also noted it as the only thing the book had going. 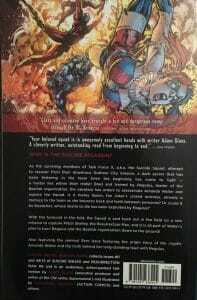 In Basilisk Rising I felt Adam Glass built up on the narrative and the characters a hell of a lot more and became more structured and engaging. The overall storyline of the Suicide Squad being an illegal black ops group up against another similar group, Basilisk, to be an intriguing plot. Both sides having hidden motives (Wallers motives are SS’s motives) and interesting characters. The first of three (4 if you count the #0 issue at the end) storylines is Suicide Squad vs Basilisk in the hunt to capture Shelley ‘The Resurrection Man’, an immensely powerful meta for an unknown reason. Deadshot really shines here as he takes the lead of the team he doesn’t really want to lead against an enemy they know nothing about. 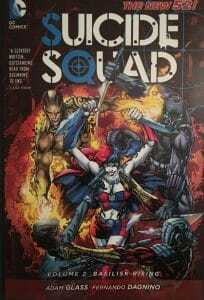 It’s a fast paced, humorous storyline that first Suicide Squad’s tone well. 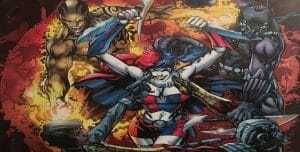 Suicide Squad books should take themselves seriously and this doesn’t. What was really annoying about this part of the book is how desperate DC was to get people into Resurrection Man as his issue was technically a tie in here. His part was so confusing as it almost needed you to have read his solo stuff. I hadn’t, most won’t and probably never will. Bad call, DC. Further more to book are the constant references to another now-cancelled series of books ‘Team 7’ which again was a bit confusing without context and using Suicide Squad’s name to try and sell some more. It didn’t work and all it served was to make Suicide Squad a less fun read. Anyway, Basilisk Rising follows the same concept as the first which is Amanda Waller sending everyone in, without a plan, and there will always be a surprise for them (which they will overcome) before shouting at Waller who will remind them about the neck bomb. 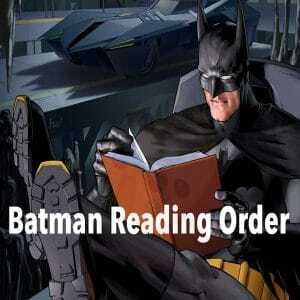 And to be honest that summarises most of the book and especially when Regulus comes to play. It does get off kilter at one point on a Mayan island but that soon ends up just as you would expect. 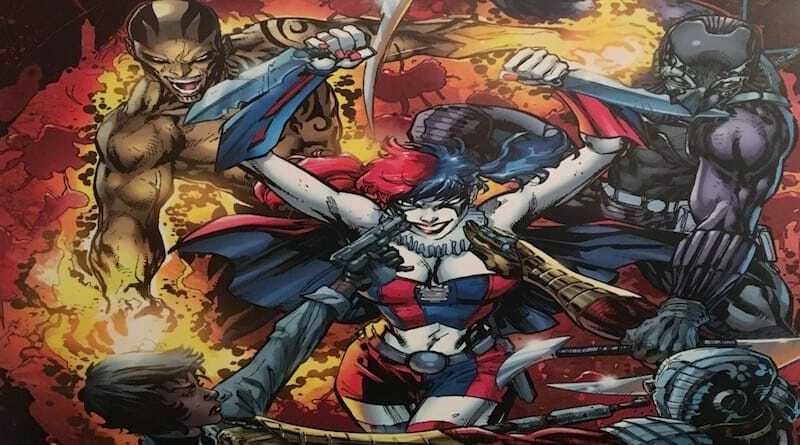 Harley is back in this issue (I am guessing her disappearance is explained in her solo book as it isn’t explained here) and I dislike her look quite a bit. It’s really boring and bland. I also don’t understand why her being back in the team makes any sense other than the fact she is a core reason SS sells issues in the first place. I have to admit, as it transpired that there was a mole on the team I was intrigued and my interest piqued, however it was short lived as the ‘twist’ came and went quite quickly without much consequence. It did give Waller more page time outside of the office but even that was well over the top for her character. Waller is the main character in the #0 and I didn’t dig it. The whole issue to me made Waller less of a omnipotent boss and more of a criminal who makes reckless decisions. Overall, Basilisk Rising is a little bit better than Kicked in the Teeth but still lacks any real depth or plot line which makes sense. It wasn’t a waste of time and money as you get 9 issues in this book for the normal TPB price but I certainly won’t be reading this again in a hurry.